Alabama is the defending National Champion and is stacked yet again in its bid to go back-to-back. 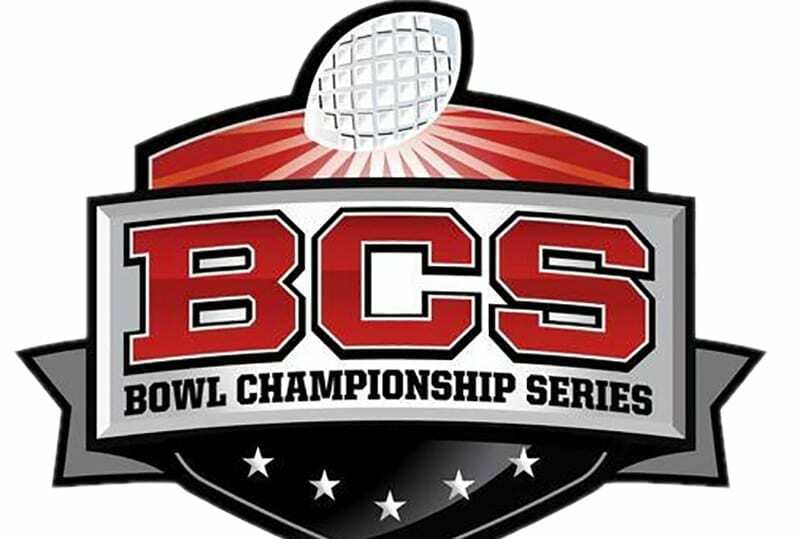 It is no surprise Bovada has them with the best odds to win the BCS title yet again. Alabama (+178) is loaded on both sides of the ball and head into this season with a QB issue. Last year’s starter Jalen Hurts and BCS title game hero Tua Tagovailoa will battle it out for the starting job this season. Like usual the Crimson Tide lost players to the NFL on both sides of the ball, but they still have a ton of talent. The secondary is a little thin and that is a concern, but that is about it and RB Damein Harris is an early season Heisman candidate. For Clemson (+525) anything but a National Championship will be a disappointment. Kelly Bryant returns as the starting QB, but star freshman Trevor Lawrence has HUGE talent and is waiting in the wings. The Tigers have some NFL caliber WR’s, a few guys in the backfield who can move the chains on the ground, and the squad may have the best defense in the nation. They will be tested early hitting the road to face Texas A&M in their season opener. Ohio State (+750) has stars in the backfield and at the WR position, but they need Dwayne Haskins to be a star under center. RB JK Dobbins rushed for 1,400 in his freshman season and is running behind what may be the best offensive line in the college game. The defense returns just four starters, but have talented guys coming in and are led by Nick Bosa, who is likely to be one of the top picks in the 2019 NFL draft. Georgia (+875) came close last season losing in the title game in OT, but the Bulldogs are primed to return and have star QB Jake Fromm coming back. Even with the losses of Sony Michel and Nick Chubb the running game will be fine with some star recruits and D’Andre Swift, who may be primed for a big season. UGA ranked 6th in the nation last season in scoring defense, but they lost some key players and some of the bigger recruits and underclassmen have to step up on that side of the ball. Washington (+1850) has senior QB Jake Browning back in the fold and RB Myles Gaskin decided to come back after rushing for nearly 1,400 yards with 21 TD last season. The defense that led the Pac 12 last season should be even better this season with nine returning starters. The Huskies have a killer opening game facing Auburn in Atlanta. So, Baker Mayfield is gone from Oklahoma (+2000) and the Sooners lost five starters on offense and five on defense. Former Texas A&M recruit Kyler Murray should take over under center and OU returns their leading WR and Rodney Anderson is also back after rushing for 1,161 yards and 13 TD last season. The defense is a young one with four of the top six tacklers gone, but, no shock, they have solid young players to take over. Michigan (+2000) has Ole Miss transfer Shea Patterson slated to start at QB for a team that did not throw the ball well last season. He will work with an experienced bunch that returns the top seven WR’s and the top two RB’s. The defense should be great again, but the key to the Wolverines may be their offensive line, which gave up way too many plays in the backfield last season. Michigan’s biggest game of the season is likely their last one where they hit the road to face Ohio State. Penn State (+2500) lost stud RB Saquon Barkley, but QB Trace McSorley is back and Miles Sanders and star recruit Ricky Slade will share duties in the backfield. The defense lost eight starters, but still have some stars on that side of the ball. Still, the secondary is the main issue for the Nittany Lions. They host Ohio State and Michigan State, but hit the road to face Michigan. For Wisconsin (+2700) they will use the ground game to win games and a defense that lost some players, but still is stacked and ranked 2nd in the nation last season behind Alabama. Alex Hornibrook is a pretty good QB and he has a pretty good WR corps, even though the team lost their lead receiver from last season, but the key player will be RB Jonathan Taylor, who rushed for 1,977 yards last season. While the Badgers do not face Ohio State this season they have two tough road games at Michigan and at Penn State. Auburn (+3000) missed out on the BCS playoffs last season, but they did beat Alabama and face the Tide on the road in their season finale this season. Jarrett Stidham is back under center, he has a good WR corps, and the run game should be a beast with Kam Martin, JaTarvious Whitlow, and big-time recruit Asa Martin. The defense is stacked up front, but the secondary is a concern with a few key players gone. Their season opening game is a big one facing Washington. Here are the teams with the 20 best betting odds to win the BCS title this season as of July 25th and to check out the full list head to Bovada.com.